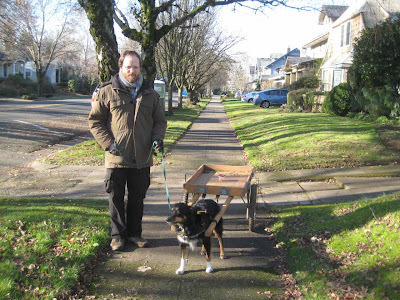 Since we haven't been working on the house, Jeff has had extra time to work/play with Shasta. She's finally doing well enough at the dog agility training that Jeff can start participating in agility events. The weave was the final challenge, and she finally has it! 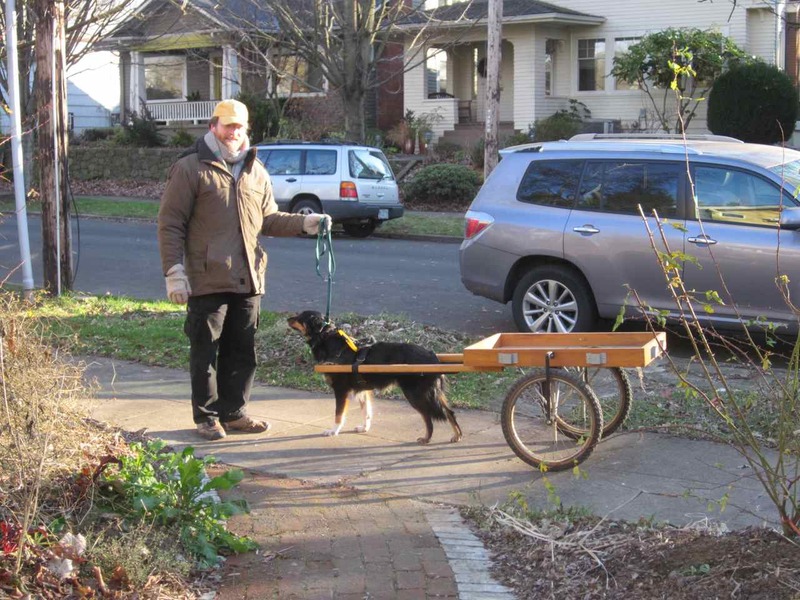 I signed up on a Northwest Dog email list and occasionally folks offer items for sale. We've gotten lucky the past week and found a couple of fun items for Shasta. The first is a wagon. The harness is a bit too big for Shasta and needs to be altered, but it works pretty well. It has side panels to hold stuff in the wagon that we'll use once we get her comfortable enough to go to the market. 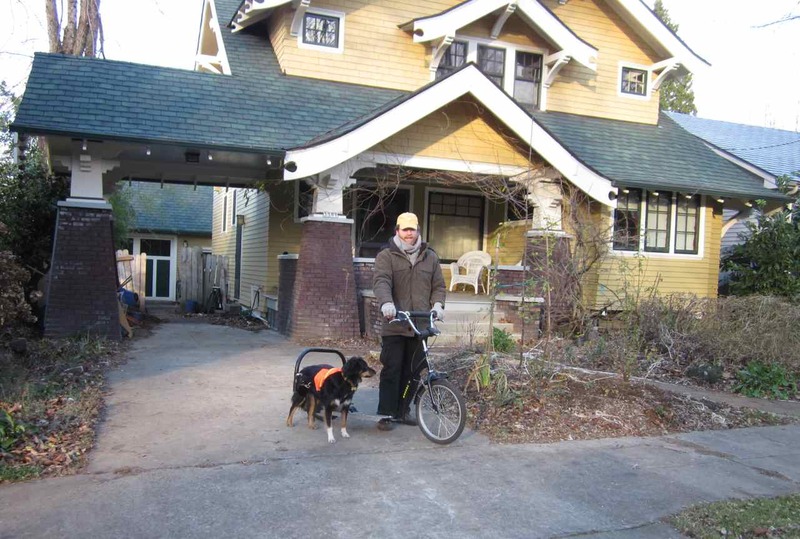 I don't think I ever mentioned it, but during the remodel (summer 2011), someone stole Shasta's awesome Pawtrekker dog scooter. It was taken right out of our backyard and they didn't take anything else, so Jeff thinks they came just for the scooter. Our theory is one of the day-labor guys that floated through the project thought it would be nice for their kid to ride; you'd just need to pull off the side arm and it was a very nice, solid scooter. Anyway, I looked into buying another one, but the company didn't make it with the side arm anymore. So, Jeff and Shasta lost their fun exercise option. Last week this one came across the NW Dog list. It isn't as nice as the scooter we had, and it needs some work on the brakes, but it is better than none.